On sunday 10th of june, MORE invites Marcel Vogel and DJ Rahaan for Lumberjacks in Hell, label showcase. We asked the label boss his top 5 italo hits. Sunday 10th of June in Ca Zenobio from Noon. Céline Oms is a qualified physiotherapist and osteopath in Paris with 15 years of experience. 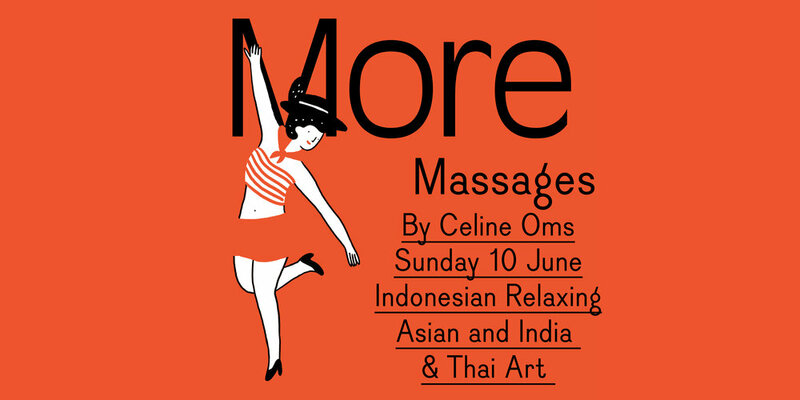 She learned a wide range of massage techniques from professionnals across the world, more particulary at Beijing University of Chinese Medecine. The "massages" and the "reflexology" described hereinabove are provided for the basic purpose of relaxation, stress redution and feeling of well-being. They must not be considered a substitute for any medical treatments or medications.